Holly Platter received her Bachelor of Science degree from Bentley College in 1983, and Juris Doctor degree from Stetson University College of Law in 1995, following a professional career in broadcasting and media relations. Prior to joining Bush Graziano Rice & Platter, P.A., as a shareholder in 2010, Holly was a shareholder with Akerman Senterfitt, LLP. Holly has considerable experience defending medical malpractice claims as well as handling complex litigation cases including class actions and mass tort litigation. A strong proponent of alternative dispute resolution, Holly has nearly 25 years of litigation experience - both on the defense and the plaintiff side. She has arbitrated or mediated extensively throughout her career. She enjoys the professional reputation of being prepared, fair, an excellent communicator and of "thinking outside the box". This creative approach has led to resolution of countless complex matters over the years. Holly is licensed in Florida, Utah, Massachusetts and New York. She is a Florida Supreme Court Certified Mediator and is certified to mediate civil matters by the United States District Court for the Middle District of Florida. 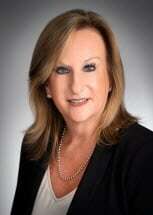 Her mediation practice includes medical malpractice, professional liability, premises liability and personal injury. Holly finds mediation to be a natural blending of her professional skills and her personal conviction that most legal disputes can and should be resolved by reasoned negotiation - allowing the parties to have control over their outcome. A member of the Florida, Utah, Massachusetts and New York Bars, Holly is also admitted to practice in the U.S. District Court for the Middle District of Florida, the U.S. District Court for the District of Utah and the United States Supreme Court. She is a member of the American Bar Association, American Health Lawyers Association, Defense Research Institute, the Florida Hospital Association and the Claims and Litigation Management Alliance. Holly has been awarded an "AV" rating by Martindale-Hubbell Law Directory. Holly's practice focuses on the defense of medical malpractice claims against hospitals, physicians and other healthcare providers, as well as the representation of physicians in Department of Health Investigations. Richards Brandt Miller & Nelson, P.A.